If you are a millennial, SoFi may seem to be the bee's knees when it comes to managing your money. Maybe you used SoFi to refinance your student loans or secure your first mortgage. Now you can use them to manage your investments too. SoFi Wealth Management is a robo-advisor designed for the hands-off or beginner investor trying to learn the ropes. What's SoFi's goal being involved in so many sectors of the financial industry? They are trying to capitalize on the Ivy Leaguers or Millennials with high earning potential who may not have reached their peak yet. Their fee-free services for current borrowers just goes to show that they are targeting clients who started off as borrowers and now may have money to invest. Think of it as coming full circle with your finances. Should you jump on the SoFi bandwagon? Keep reading to find out. SoFi Wealth Management operates as a sort of hybrid investment service. First, they are a robo-advisor. In other words, your investments are managed by automated software. They use the Modern Portfolio Theory, which is the investment strategy of choice of many robo-advisors. After you answer some basic questions regarding your age, income, net worth, and financial goals, the software creates the ideal portfolio for you. What Is Modern Portfolio Theory? Modern Portfolio Theory is a fancy word for diversification. Dr. Harry Markowitz started the theory back in 1952 when he offered mathematical evidence that a risk-averse portfolio is possible with proper diversification. Choosing investments that are both risky and non-risky, you may be able to offset the differences and stay on track with reaching your goals. But there's more than meets the eye here. SoFi offers human financial advisor advice at no additional cost. Even if you don't meet the requirements to waive the standard SoFi annual fee, you are still getting financial advice from a "real investment advisor" for a fraction of what they usually cost. It's like getting the best of both worlds for those who want a hands-off investment approach but might want advice from time to time. SoFi offers both taxable and retirement accounts for your investment options. They include both individual and joint taxable accounts as well as traditional, Roth, and SEP IRAs. Whether you are trying to build a little net worth for use in the short-term or you are looking ahead to retirement, SoFi has an account to help you achieve your goals. SoFi encourages the automated investment strategy to help you stay ahead of inflation and ensure that you meet your desired goals. Who Is SoFi Best For? As with any robo-advisor, SoFi is best for investors who want that hands-off approach. This could mean new investors who don't quite know the ropes yet. It could also mean investors who have the knowledge, but just don't have the time or desire to manually manage their portfolios. Of course, the waived fees for existing SoFi borrowers are certainly a bonus, making it an easy decision if you already have a loan with SoFi. Even if you have to pay the fees, though, if you want a balance between the robo-advisor that handles your investments for you and live financial advice when you need it, SoFi could be a good contender. Like many other robo-advisors, SoFi Wealth Management uses Modern Portfolio Theory (MPT) to create and manage your portfolio's asset allocation. Proponents of MPT assert that this strategy decreases your risk by diversifying into many uncorrelated assets. Basically, this means not keeping all of your investing eggs in one basket. As we mentioned above, SoFi offers free account management for current clients. Whether you have a student loan, mortgage, or personal loan with SoFi, you can have your assets managed free of charge. Don't worry if you aren't a current client, though. Any money you invest under $10,000 is also managed free of charge. Once you hit the $10,000 threshold, you'll pay 0.25% of the assets under management per year. This is the average amongst robo-advisors slated for beginners, so it's competitive with others in the industry. Is SoFi Wealth safe? Your investment with SoFi is protected by the SIPC, up to $500,000. This insures your investment should SoFi go out of business. It doesn't provide any protection against poor investment choices or an investment gone wrong, though. As far as your personal information, SoFi uses two-factor authentication and SSL encryption to help prevent your information from being stolen online. You only need $100 to start investing. Since SoFi targets beginners, the minimum $100 investment is a great way to get started. But moving forward, you'll need a minimum balance of $500 in your account each month. SoFi does waive this requirement if you automatically invest $100 per month, though. You have access to a live advisor. We can't say enough how valuable having a live advisor at your disposal can be. A financial advisor can help you adjust your risk tolerance based on your goals, look over your account to see where you may want to change things, or just give you reassurance that you are on track. These are things a software program cannot do for you, making the human advice valuable. SoFi automatically rebalances your portfolio for you. 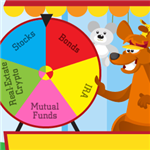 SoFi sets up your portfolio diversified amongst stocks and bonds based on your risk tolerance. As you know, though, the market can change at any time. If your allocation gets "out of whack," SoFi's software program automatically rebalances it for you to get you back on track. SoFi's financial advisors don't work on commission. Because the financial advisors don't gain anything by upselling you or changing your investments around, you may be able to better trust their advice. They offer impartial advice that we hope will get your portfolio aligned to meet your desired goals. SoFi has a goal-centered retirement calculator to keep you on track. It can be confusing to figure out on your own if you are on track to save that million dollars you want for retirement, but SoFi makes it easy. Their calculators and risk simulators will help you see if you need to adjust things, such as changing your portfolio allocation or increasing the amount you invest each month. SoFi doesn't charge any other fees aside from the annual fee. You don't have to worry about hidden fees that suddenly take away from your profits. SoFi doesn't charge an application fee, administration fee, or any penalties for closing your account. The 0.25% annual fee is the only fee if you invest more than $10,000. SoFi's ETFs track more than 20 indexes. As robo-advisors go, SoFi is one of the leaders in their ETF offerings. Their ETFs track things like stocks, bonds, international stocks, and even real estate in some cases. You can adjust your risk level as your circumstances change. Some robo-advisors don't allow you to change your risk level once you start investing. They believe it allows you to make irrational choices, which robo-advisors are meant to help prevent. SoFi does allow these changes, though, which can be good when life throws you a curveball. Remember, you have access to the personal advisors who can help you decide if changing your risk level is a smart move. SoFi's platform is simple and easy to use. Investing is confusing, so the last thing you want is a complicated platform. SoFi's platform is user-friendly and simple. 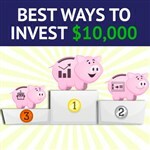 They also have an app that you can download on your mobile devices to invest on the go. They don't offer tax loss harvesting. Wealthy investors often care the most about tax loss harvesting, but knowing that your tax liabilities are minimized automatically with your investment advisor is beneficial. SoFi doesn't offer this option, even for the "wealthy investors" like some other robo-advisors offer. You can't open a 529 savings account. If you are trying to save for your child's college education, you can't do this with SoFi. Taxable accounts and retirement accounts are your only option. SoFi's website isn't focused solely on their robo-advisor. Because SoFi's robo-advisor services came last in their suite of services, it's almost an afterthought on their website. In other words, you have to sort through their other services to get to your investments. For some, this may be a downside as the site and app aren't fully focused on investing. Betterment is another robo-advisor with a 0.25% annual fee and some access to a human advisor. They don't require a minimum investment and they do manage 401(k) accounts, unlike SoFi. Betterment is often the choice of true beginner investors. The clear difference between SoFi and Vanguard's robo-advisor is the minimum required deposit. Vanguard requires a whopping $50,000. In exchange, they offer a more robust personal advisor service (hence the name) and they do manage 401(k) accounts as well. Their fee reflects their more robust services at 0.30% per year. At the forefront, SoFi and Wealthfront look pretty similar. They charge the same fees and have the same basic account minimum. 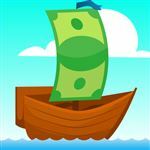 SoFi, however, offers the personal advisor services, whereas Wealthfront offers 529 savings plans and tax loss harvesting services for all investors. If you are a current SoFi client, it may make sense to stick with a company you know already. With all of your accounts in one place, it's easy to keep track of your finances. If you aren't a SoFi client, they do offer valuable services and at no charge until you hit that $10,000 threshold. Their services are comparable to many other robo-advisors out there. But, if you prefer a standalone robo-advisor without the confusion of other financial products thrown in your face, you may want to consider one of the other available options.